All too often I find an author who writes a few great books and then goes downhill. I’m not sure if it’s because they’re out of good ideas, bored with the genre, or just assume that their readers will continue to follow them no matter what and simply stop trying. All that being said, I’m always impressed when an author continues to grow, whether they change genres or combine them, because then I feel like I can continue to read and enjoy – and Ruth Ware is one of these. In her fourth novel, The Death of Mrs. Westaway, she continues to stay in the psychological suspense genre, but adds another layer to her writing which makes it all that much better. After taking over her dead mother’s psychic reading booth and borrowing money from a loan shark, Hal Westaway’s life is anything but stable. Just as she’s about to give up, she receives a letter regarding an inheritance from a family she never knew existed. Despite the fact that she believes it to be some sort of mistake, Hal’s desperation gets the better of her and she sets out to collect. Once in the midst of it, Hal realizes that nothing is what it seems, and this family and inheritance may very well be the death of her. Filled with her signature twists and turns, you are kept guessing (and changing your opinion!) until the very end. Fans of Ware’s previous works, The Lying Game, The Woman in Cabin 10, and In a Dark, Dark Woods will NOT want to miss this! A page-turning suspense novel reminiscent of Ruth Ware’s newly released The Lying Game, following three best friends – that met at college twenty-two years before – who must deal with the repercussions of a decades’ old secret that leads one of them to their death. Aside from their living quarters, Kate, Jenny, and Aubrey – or, the Whipple Triplets, as they were aptly nicknamed – had nothing in common. Kate, who’s father was a Carlisle alumni, hailed from the privileged world of NYC’s Upper East Side. Jenny was born in Belle River, the town where Carlisle was located, where her parents owned a hardware store. And Aubrey, who was on scholarship, grew up in the slums of Las Vegas to a single mother who could barely afford to pay the bills. They were all running away from something, all trying to reinvent themselves. At first, their friendships seemed to bloom, but as is often the case with a close-knit group of adolescent girls, they soon were at odds over boys, going behind each other’s backs and at times engaging in silent competitions. Despite their antics, the three of them swore that they would always be there for each other (it was a love/hate bond)…until the end of their freshman year when something tragic causes them to part ways. Twenty-two years later, they are all married and have managed to move on with their lives when the past resurfaces. These three women claim to be best friends, but underneath the surface they are more like frenemies, because they really can’t stand each other. Kate, Jenny, and Aubrey are all self-centered and care more about how they’re seen to the world and in their perspective lives, than anything else, but that’s part of what makes this book so interesting. None of the characters are really likeable, but your opinions of them constantly change. Sometimes they’re naïve, other times vindictive – what Campbell does is kid of brilliant actually, because there are moments where you do care, followed by moments where you don’t. What I liked about this novel is that it really did keep me guessing as to who caused the death. Early enough on, we do find out which one of the frenemies dies, but the real mystery is who was involved in said death, which is not as black and white as you would expect. Campbell takes you on a rollercoaster ride – as soon as I was certain that I knew the answer, something new would be revealed that would completely change my opinion. You are really left guessing until the final page, and even then, the culprit is shocking. Michelle Campbell’s It’s Always the Husband. St Martin’s Press 2017. To me, there is nothing creepier than being alone in a wooded area in the twilight. I remember coming home from class at night and having to take two buses. The second bus stop was in front of a park and I would always end up waiting and waiting for it…constantly looking over my shoulder and scaring myself with every movement of the trees. In the back of my mind, I always was prepared for someone to leap out and attack me. Thankfully, no such event ever transpired. Darkness is always something that has scared me. Particularly when it is time to go to bed. As a child, I was often terrified to go to sleep, unsure of what the night would bring. This only occasionally happens to me as an adult, and it mostly occurs when I am in the middle of a book that has such a hold on me that I just can’t put it down. 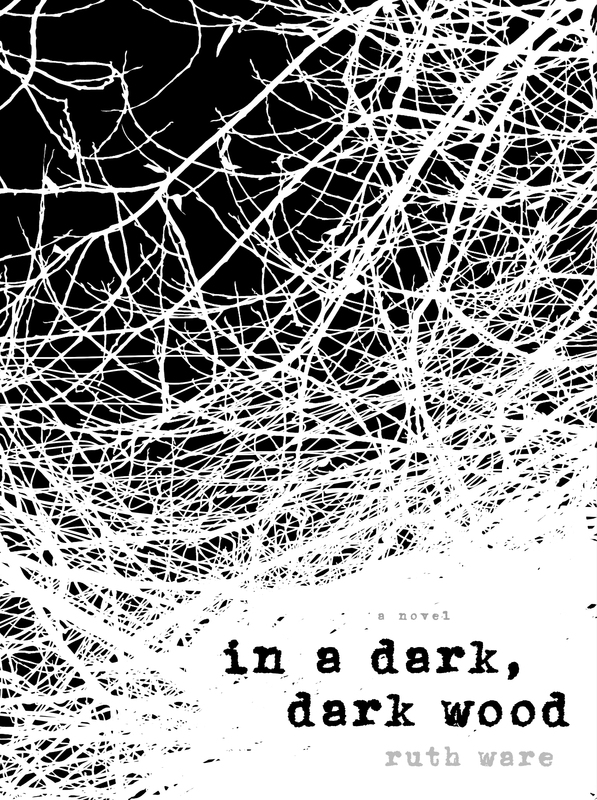 In a Dark, Dark Wood, a debut novel by UK author Ruth Ware, and also the debut book of Simon & Schuster’s new imprint, Scout Press, is one of those such books. From the first page, it had me. Nora (aka Lee, or Leonora) is running through the woods getting attacked by branches, slipping in the snow, all the while hoping that she is not too late to stop a car. But who is in that car and why is she trying to stop it? Just the thought of running through the woods at night is unnerving to me…like a person’s worst nightmare coming true. Next we see Nora in a hospital, badly injured, amnesiatic, and the story unfold from there. Having been invited to a bachelorette weekend for an old school friend that she hadn’t spoken to in over ten years, Nora reluctantly goes, but the weekend seems doomed from the beginning. The bash is being held at a glass house in the middle of the woods, where it feels like anyone can watch your every move. An eerie thought to say the least. But what happened to Nora in those woods? How did she end up in the hospital? And, perhaps most importantly, can she trust herself let alone anyone else? Alternating between the events of the weekend and Nora’s stay at the hospital, In a Dark, Dark Wood is a dark, twisted psychological thriller that will leave you haunted.